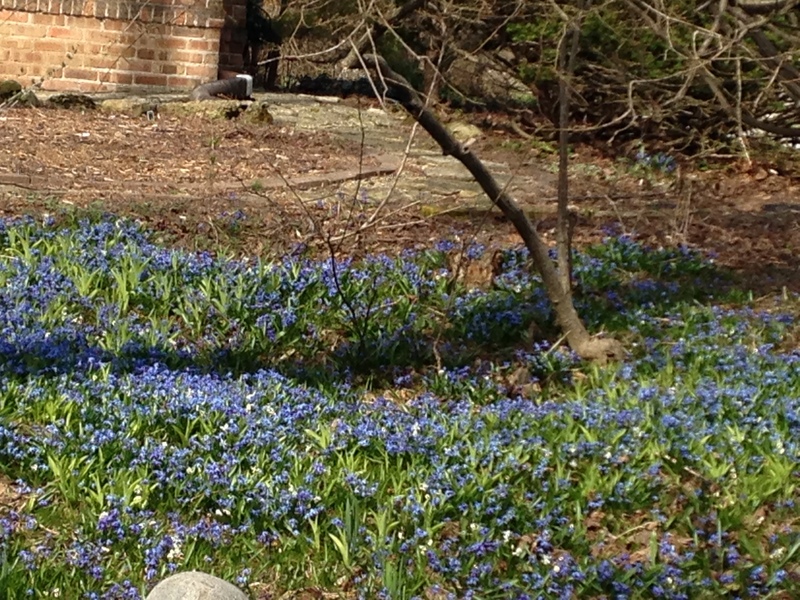 You know it’s spring in Milwaukee when lawns throughout the city are taken over by these lovely carpets of blue flowers. Scilla siberica (Siberian squill) is their official name. They make me so happy! Apparently, though, this pretty flower is considered “invasive” because it “naturalizes” so well (i.e., spreads outward from the spot where initially planted). These blue carpets are sometimes even referred to as “infestations” of scilla. This entry was posted in Life, Milwaukee, Nature and tagged flowers, Milwaukee, springtime. Bookmark the permalink.